The Direct Entry Inspector programme focuses on developing leadership, management and operational aspects to equip you with the skills, knowledge and experience required to perform effectively at the role of inspector. You will be supported by your force and will undergo regular assessments, where you will need to meet set standards to remain on the programme. As a Direct Entry programme member, you will hold the rank of inspector from the day that you start in training and will undergo operational rotations at the rank of constable, sergeant and finally inspector. You will be given everything that you need to progress and be shown how to put that learning into practice. Ultimately, you will need the determination and confidence to manage your own professional development throughout the programme. The programme combines classroom learning with operational training and is delivered in conjunction with your chosen police force. We will support individuals’ development to help them perform effectively at the role of inspector and support individuals’ continuing development in reaching at least the level of superintendent during their careers. During your constable rotation, you will be tutored by an experienced constable. You will be at the front line of the criminal justice system, dealing with everything from serious crime such as child abuse, missing people and sudden deaths, to family feuds and community tensions. This rotation will be the first opportunity for you to use your training effectively, turning theory into everyday practice. During the sergeant rotation, again with daily support, you will take responsibility for the general and technical supervision of officers and the wider team of police colleagues. You will manage resources, supervise investigations and keep a close eye on responses to critical incidents. You will also conduct intelligence-driven briefings, taskings and debriefings, and provide leadership to your team. You will perform the role of inspector, supervising constables and sergeants. You will plan, organise and direct the work of a team of police officers and staff in a variety of law enforcement and policing tasks. You will also manage policing operations, and set the strategy and coordinate response at critical incidents. You will frequently find yourself the most senior officer on duty due to the 24-hour nature of the role. The programme begins with two weeks in force to enable orientation and training in first aid and personal safety. Module 1 is a 10-week module aimed at preparing programme members for their first operational rotation as a constable. Programme members spend 14 weeks in force, performing the role of constable under the tutelage of an experienced work-based coach. Module 2 is a four-week module aimed at preparing programme members for their operational sergeant rotation and introduces the role of inspector. Programme members spend 14 weeks in force, performing the role of sergeant under the tutelage of a work-based coach. Module 3 is a three-week module aimed at preparing programme members for their inspector rotation, further developing their risk management and decision-making skills. Programme members spend 14 weeks in force, performing the role of an inspector under the tutelage of a work-based coach. Module 4 is a three-week module aimed at developing programme members’ knowledge of complaints and discipline, performance management, leadership, change management and partnership working. Programme members are also assessed in an immersive learning environment that will test their operational competence. Programme members spend 12 weeks in force, performing the role of duty officer/critical incident manager. During this time, the programme member takes responsibility for an operational team for the first time and has access to a mentor to support their development. Throughout the 24 months, programme members undertake work-based assessment, the inspectors’ knowledge exam, action research projects and immersive live incident management. Programme members will have until the end of their probationary period to complete the work-based assessment at inspector rank. Programme recruitment is annual and the application window opens early in the New Year. You will be required to demonstrate the relevant competencies for the programme in your application. Help and guidance on completing competency-based application forms can be found on leadbeyond.police.uk. All completed applications will then be sifted by our team of recruitment specialists and those who are successful will be invited to attend a telephone interview to further demonstrate their skills against the competencies for the programme. Following the telephone interview, the final stage of the selection process is the Direct Entry Inspector National Assessment Centre. Candidates who are successful at the National Assessment Centre will then be offered a place on the programme by a force. 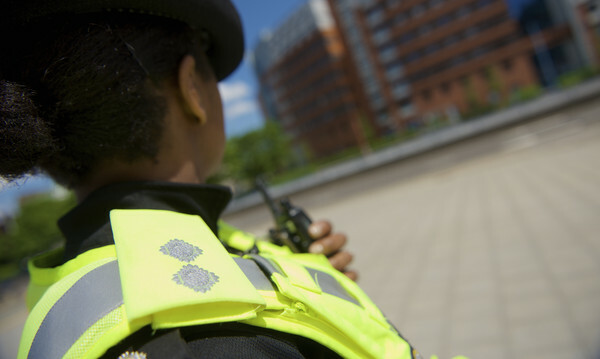 While the focus of this programme is to attract individuals with exceptional leadership skills from outside policing, you will still need to take on the responsibilities of being a police officer. That means that you will need to meet the same eligibility criteria required of anyone else who joins the police service. These criteria include checks into your finances, previous criminal convictions, fitness and membership of political groups. At the National Assessment Centre, you will be assessed by a number of different assessors. All assessors are appropriately trained in the principles and skills associated with the objective and fair assessment of others. Assessors also receive training in the specific exercises used at the assessment centre. Assessor teams are made up of a mixture of service assessors (from a force in the United Kingdom) and external assessors from outside of policing.